Calling all family and friends of the bride-to-be! Wedding season is approaching and that means hosting and attending engagement parties and bridal showers. If you take on the task of hosting the bridal shower, order the invitations, get creative with decorations and plan the entertainment, but leave the menu to us! Celebrating an exciting time is always better when you’re eating delicious food, right? 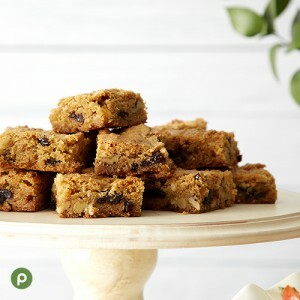 From sweet treats and refreshing drinks to tasty appetizers, we’ve put together the menu with some delicious, unique recipes your guests will love. When deciding what food to include on your buffet, think small and simple. Choose handheld foods that are easy to snack on and mingle at the same time. Ordering meat, fruit and cheese platters online are a great option that is convenient for you and your guests. Your guests will love these Aprons dessert recipes or choose from our Bakery platter options. Cupcakes, brownies macarons and donuts galore! 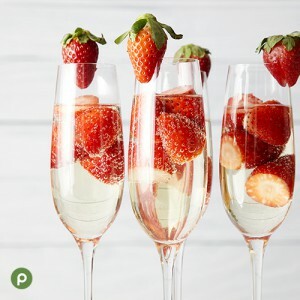 Create your own refreshment bar with champagne, juices and fruit garnishes or recreate these delicious Aprons recipes! If you don’t want to make your own drinks, pick up a few gallons of tea or lemonade from the Publix deli. Have you recently hosted a bridal shower? Share your favorite recipes with us by posting in the comments below!